Just a hint of colour on your cheeks can make all the difference to your makeup look! No joke, blushes have some kind of hidden magical powers of making your skin appear youthful and healthy. All you need to do on your part is just pick the right type of blush according to your skin type (and, master the art of blending the blush, of course!). With this post, I am giving you a makeup 101 lesson about the 5 types of blushes available in the market and how they are ideal for specific skin types. Each of these 5 types of blushes have their own sets of pros and cons, so if you want to know which type of blush is the right one for you – then keep on reading. Types Of Blushes Explained – What Types Of Blushes Are There? Best suited for: People with oily skin type. This is the most coveted type of blush out there! Powder blushes are generally more long-lasting than all the other types of blushes. That is why they are ideal for people with oily skin type as well as for those who tend to sweat a lot on their face. It stays on the skin for longer periods, gives you a polished look and can also be re-applied easily during your touchup breaks. However, powder blushes come with a huge drawback for makeup beginners who are not pro at blending! They take a lot of efforts to blend on the skin and you can even end up going overboard with them if you are not careful. So if you are new to the makeup world, take your time to practice the art of blending before you start using powder-based blushes. Furthermore, I would recommend investing in a good, fluffy blush brush as it will help you to blend your blush precisely. Once you blend the powder blush with your brush, just bounce a damp sponge over your cheeks a couple of times to reduce the intensity of the blush and make it look natural on your face. Powder blushes are also available in the form of “shimmer bricks” that are a hot trend these days. Shimmer bricks not just give your cheeks a touch of colour, but they also add an illuminating glow to your skin. You can totally skip applying a highlighter if you get you are using a shimmer brick. Best suited for: People with dry skin type. Cream blushes have a buttery soft formula that glides on your skin like a dream and gives a subtle flush of colour to the apples of your cheeks. It is perfect for people with dry skin as its formulation is generally very moisturizing. Furthermore, cream blushes are quite easy to blend as well. Just like blushes, there are different types of blush brushes too. A stippling blush brush is the best for using a cream blush on your cheeks. You can use your fingers to blend it in after placing the colour on your cheeks with the stippling brush. If you watch makeup tutorials of MUAs, you would usually find them using their favourite cream blushes on their clients with their fingers and not using a brush at all. Perhaps, that’s the best way to apply cream based makeup products. 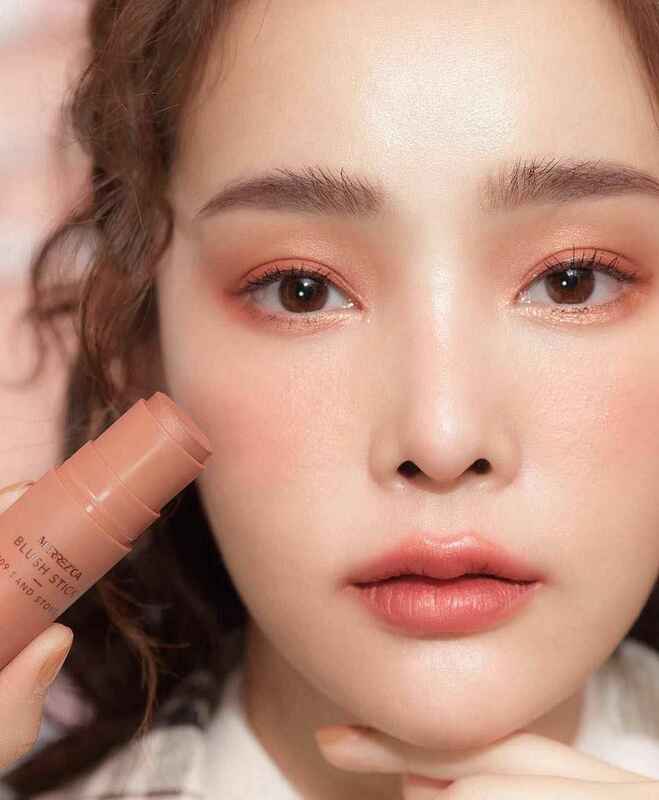 Water-based cheek tints first got popularized by Korean brands as they went viral over the internet. If you ever wondered from how do all those beautiful Korean women get their flushed cheeks, you are finally going to get your answer now! Water-based cheek tints are the best-kept secret of Korean women that give a natural-looking tint to their cheeks. 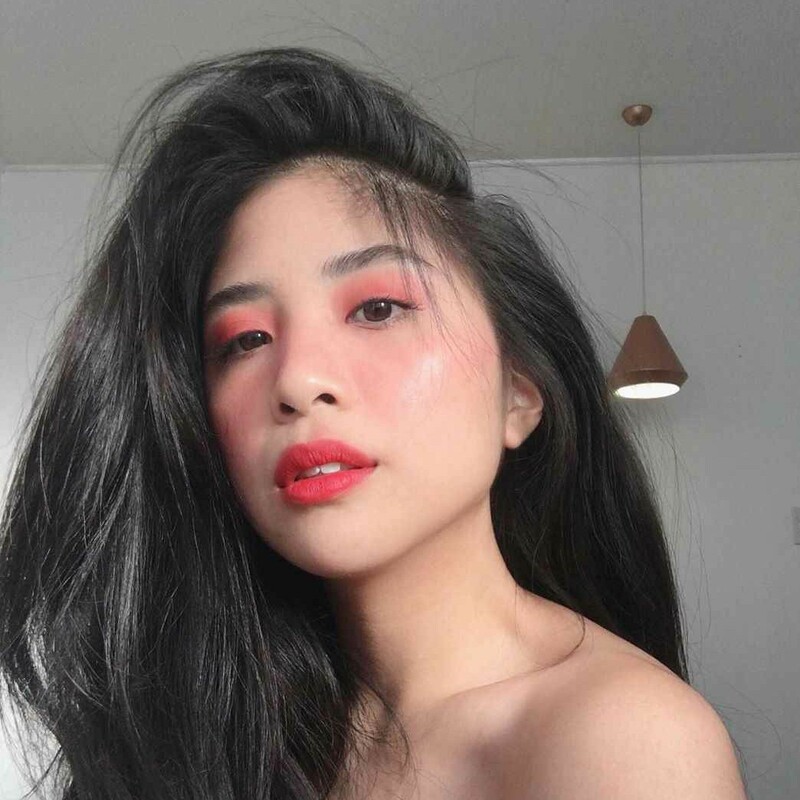 Honestly, I believe that those women who shy away from using blushes in their daily makeup looks might change their mind about blushes if they see Korean women’s beautiful rosy cheeks! You may have heard of the famous Benetint lip and cheek stains by Benefit Cosmetics, well the Korean tints are not any different from them. Most cheek tints serve a dual purpose of being both, a blush and a lip tint. 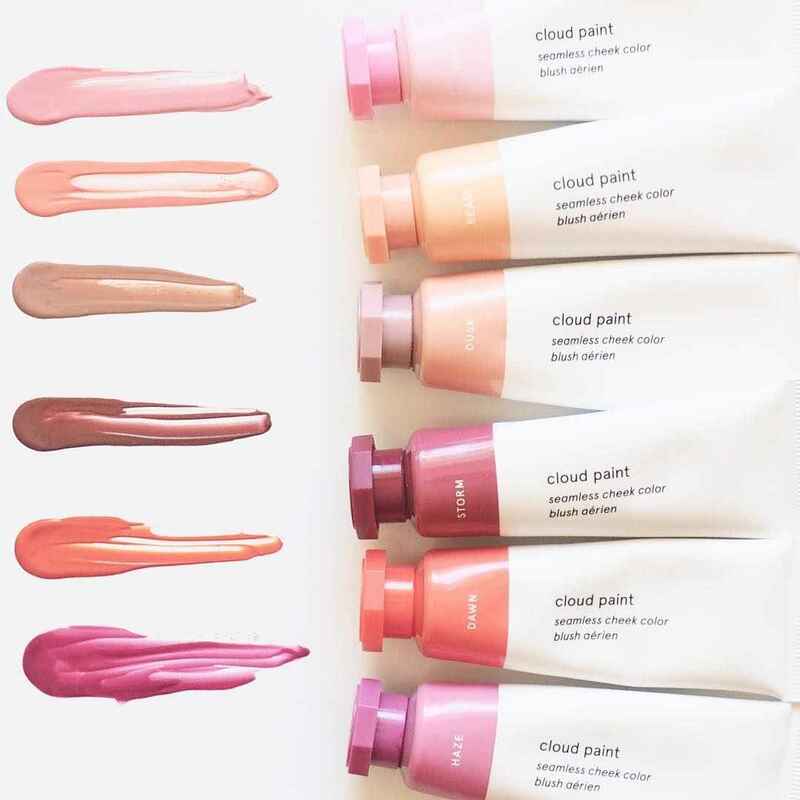 The ultra-light formulation of water-based cheek tints is probably the best feature of them. As soon as you apply the tint, it gets blended on your skin beautifully and feels like as if you have applied nothing on your skin. Best applied with: Beauty blender. Liquid blushes or gel blushes usually come in a squeezy tube packaging or a pump bottle packaging (like the NARS or e.l.f. liquid blushes). This type of blushes pack high amounts of pigmentation and hence, you need to be extra careful while using them. Otherwise, you might end up with clownish looking cheeks! To apply a liquid/gel based blush, take it in a very small quantity on the back of your hand and pick it up using the pointed side of your beauty blender. Then, place the blush on your cheeks and use the other side of your beauty blender to blend the colour on your cheeks nicely. Best suited for: People with dry skin type, makeup beginners. Best applied with: Directly with the stick, you can use your fingers to blend the blush. Last – but not least! Stick blushes are quite well-known for being beginner-friendly. They are the best option when it comes to ease of use. All you have to do is just swipe the blush stick on your cheeks and blend it in using your fingers, that’s it! Just like cream blushes, stick blushes, too, have a smooth and foolproof formula that gets blended fast on the skin. Stick blushes also come in very handy if you usually don’t have a lot of time to do that full-on “beat face” makeup look early in the morning before rushing to your office or school. Enjoyed reading this post about 5 different types of blushes? Share it with your friends on social media!